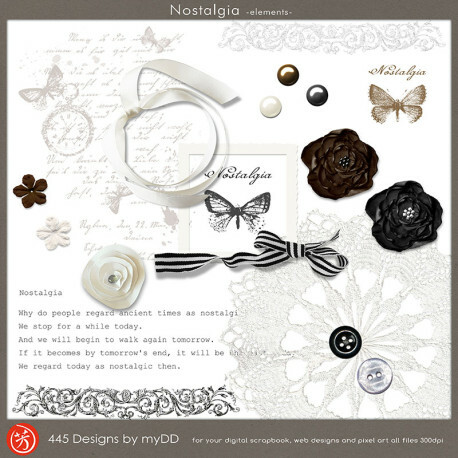 This kit is the theme of nostalgia principle, are summarized in the dark color of black and white and sepia. Please add to your memorial scrap. 35essential elements Please add to your memorial scrap. 9fine patterned papres and 3solid papers This kit is the theme of nostalgia principle, are summarized in the dark color of black and white and sepia. Please add to your memorial scrap.